The foundation stone reads: Shady Grove, C. M. E. Church, Draton [Misspelled] , Ga. Built Sept. 1911 By Reverend R. M. Mathews. Pastor, Rev. Lee O’ Neal; L. H. Holsey, D. D.; Bishop C. M. Cross; Committee G. W. McKenzie, J. F. Key, T. F. Little, Tom Jones. The Christian Methodist Episcopal Church was founded in 1870 with the support of the leaders of the Methodist Episcopal Church, South. 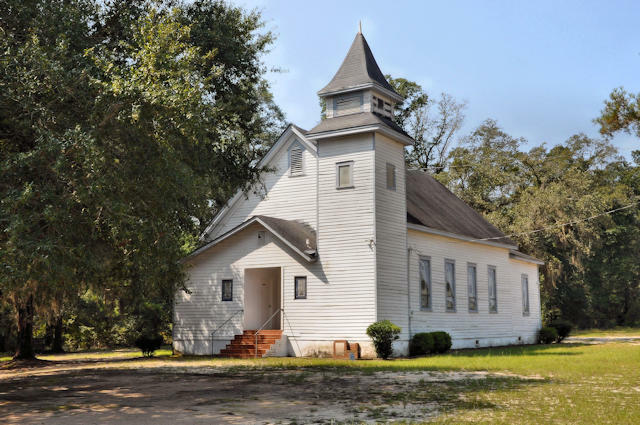 Regarding this history of Drayton Methodist, the South Georgia Conference of the United Methodist Church notes: When this church was built, Drayton, in Dooly County, was a village of several stores, saloon, post office, and courthouse. 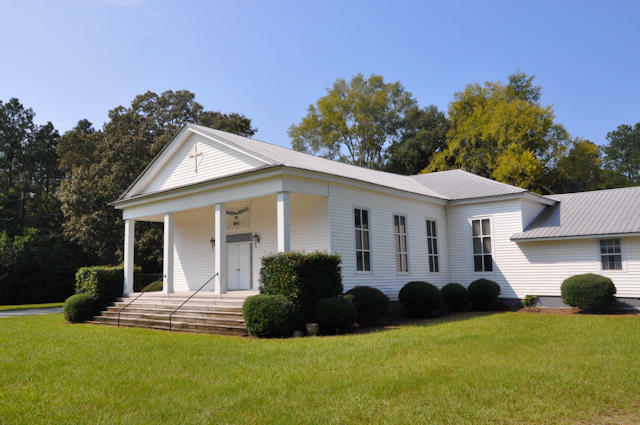 In 1840, the present church was built with land deeded in 1848. Mrs. Temlie Brooks recalled that as a nine-year-old in the 1800s, she attended regularly sitting in the balcony. 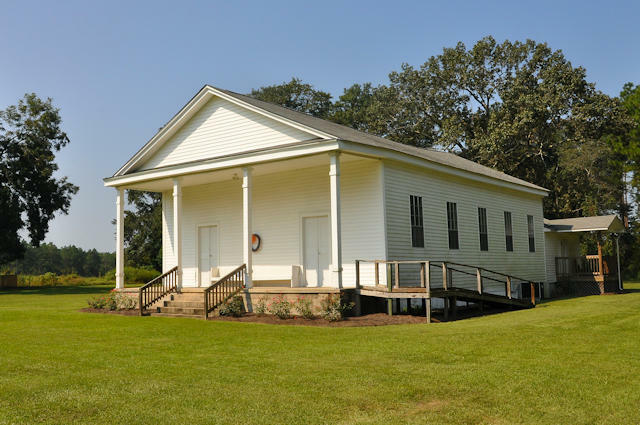 When the church for black members was built across Turkey Creek, the same preacher served both churches for a time. Today, asbestos siding protects the outside, electric lights replace the two kerosene lamps, (one for the preacher, the other for the people) and the pump organ is silent. This congregation was established in 1854 as Shiloh Baptist Church. It was renamed Drayton Baptist Church in 1889.